When most people hear “RV”, I think they tend imagine a giant bus, or an old dirty trailer. We have neither of those. 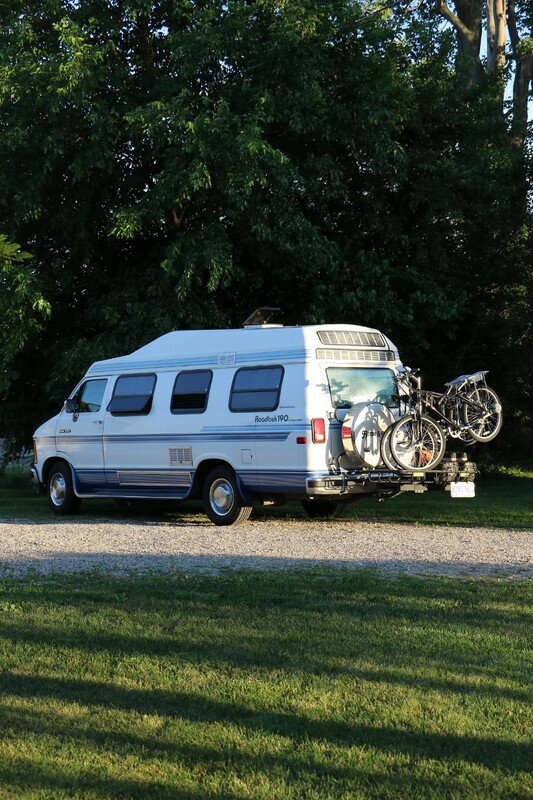 We travel around and live in our Roadtrek 190 “Class B” RV. Imagine a very large, high quality camper van. It had only a single previous owner before us who kept it in immaculate condition (It’s a 1993 and had traveled only 60,000 km when we purchased). We have a solar system, stove, refrigerator, shower, toilet, and a house air conditioner as well as a furnace. Our goal is to be as self contained and sufficient as possible so that we’re free to travel to wherever we choose without any restriction. Finding places for my dirty Gis during heavy training periods has been an interesting challenge. I’ll usually hang all of my wet stuff off one of the bikes on the back of the RV for it to dry, then fold it tight and pack it into the laundry basket until the next coin laundry visit. 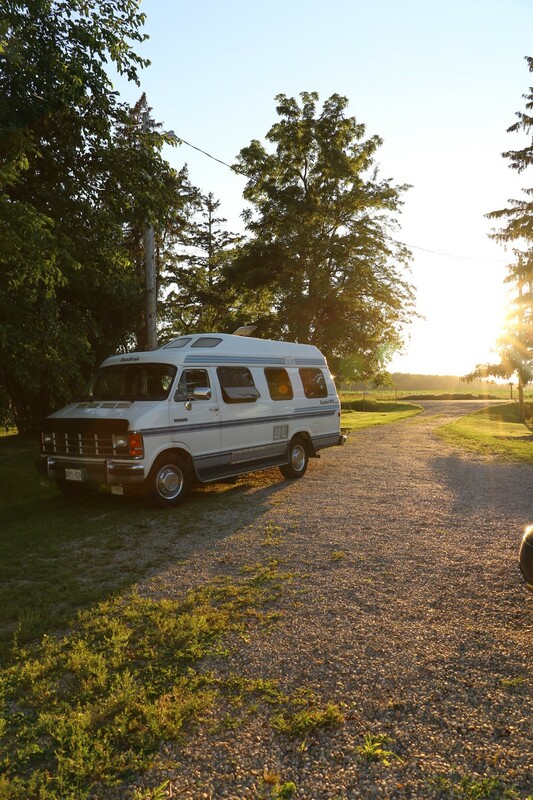 Here’s our RV parked at Sarah’s sisters’ farm. My temporary drying rack for my Gi’s. I plan on building an exterior compartment for them. We’ve been bouncing between staying at family members’ places, our rental properties and various locations that would have a nice view to wake up to. I usually train at my home gym Gracie Barra twice a day. Once in the morning teaching a private and once at night for class. I had just finished a private lesson one morning when we received a phone call from Sarah’s sister. She happens to live on a beautiful farm, about 30 minutes outside of the city. She was wondering if we would like to come visit our niece and nephew as well as the new baby donkey that she had just taken possession of for the weekend. Sarah cried out in joy. 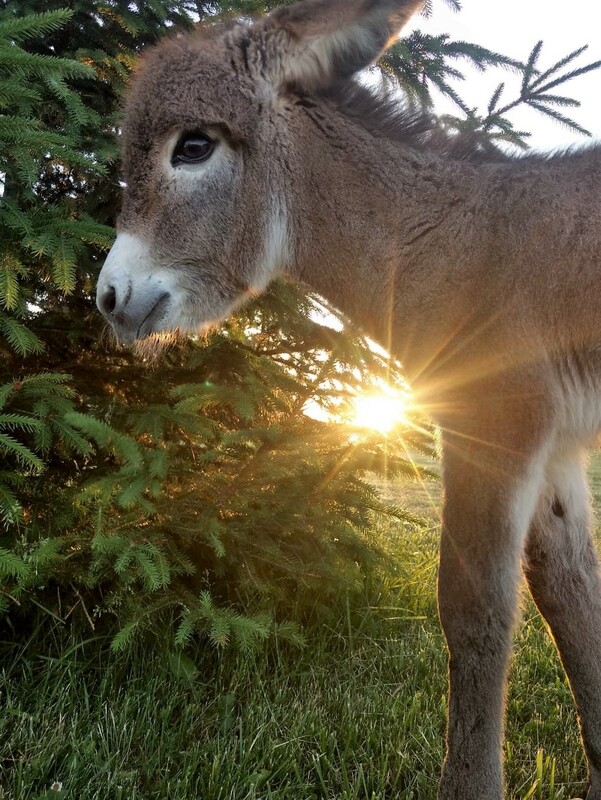 The donkey’s owner was heading out of town for the weekend and needed someone to look after her. So of course we went. We helped with a bit of the care taking. It needed to be fed every four hours. We covered the midnight feeding and my brother in law was getting up at 4 AM for his feeding shift. 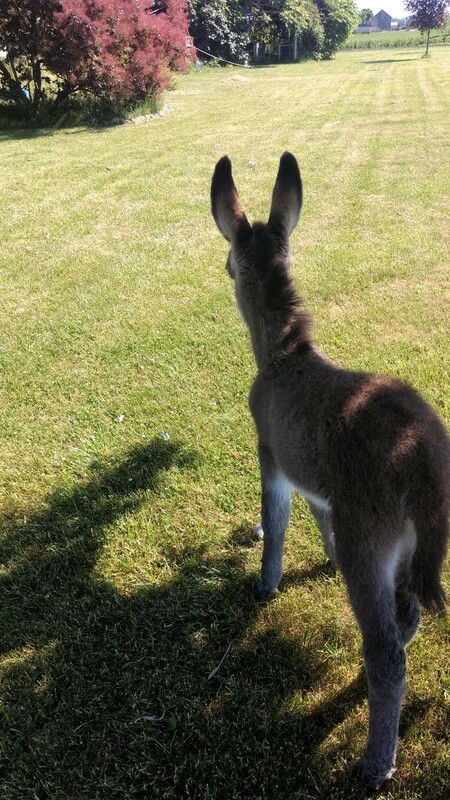 Apparently even for being just one week old, donkeys are quite smart and very able bodied. It was sprinting all over the property and was even responding to commands. After a couple days at the farm we then traveled about 2 hours North to visit my parents in Kitchener. We park at their condo and I use one of our two bikes that’s mounted to the back of our RV to get to and from training. The bikes come in handy to get somewhere quickly for when we’d like to keep the RV stationary. However, we usually find ourselves so far out from civilization that exchanging both bikes for a mounted motorcycle may be in the plans for the near future. Still working out some of the details for that. View from the condo. A lot of green and a lot of construction. 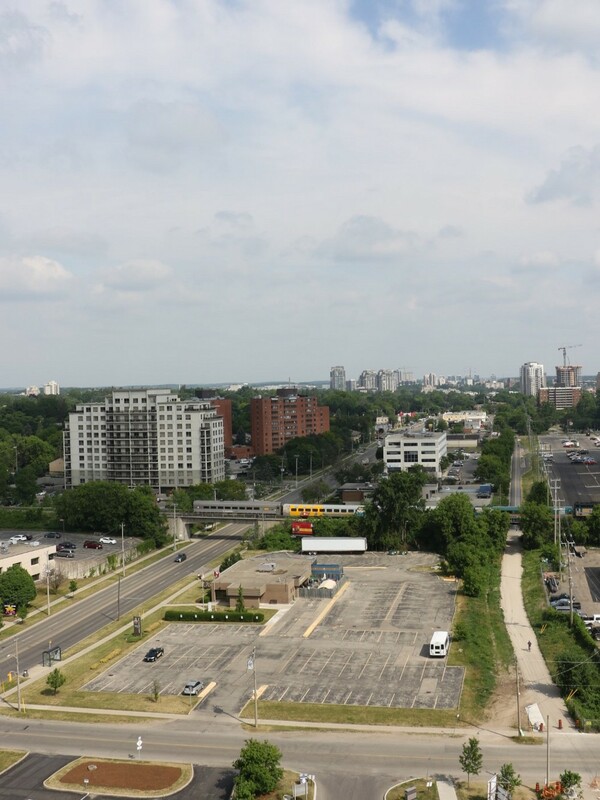 That’s Kitchener in a nutshell. When in Kitchener I split my training up between a couple of places. One is with a handful of guys (most from different affiliations) in a finished basement gym location and the other is at Guardhouse BJJ. 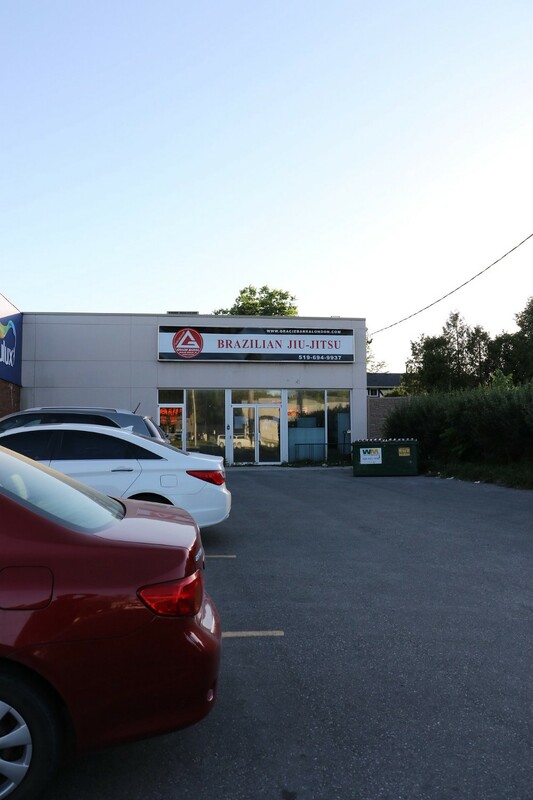 On this recent trip visiting my parents I did some training at Guardhouse BJJ. They are noticeably welcoming and run great classes. There seemed to be belts of all colors and about 20+ students in the classes. 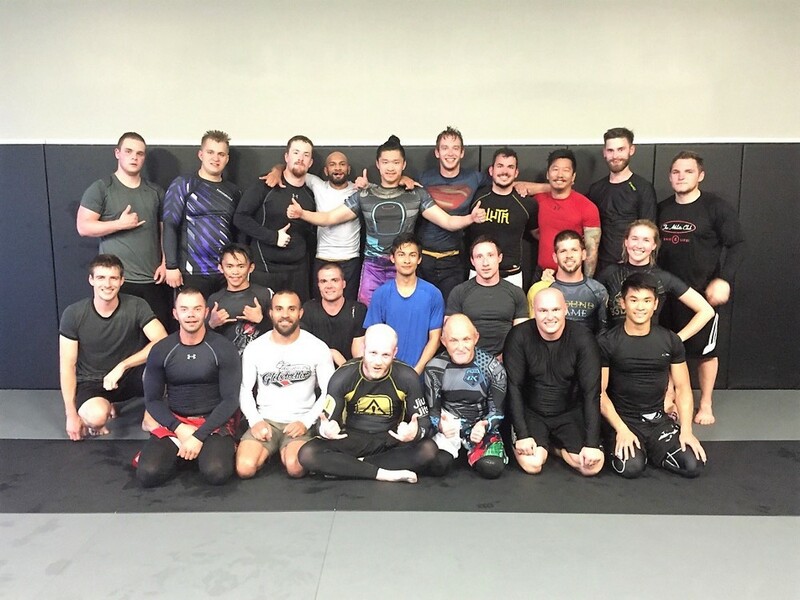 We did some conditioning to warm up, discussed and drilled techniques and got a few sparring rounds in. 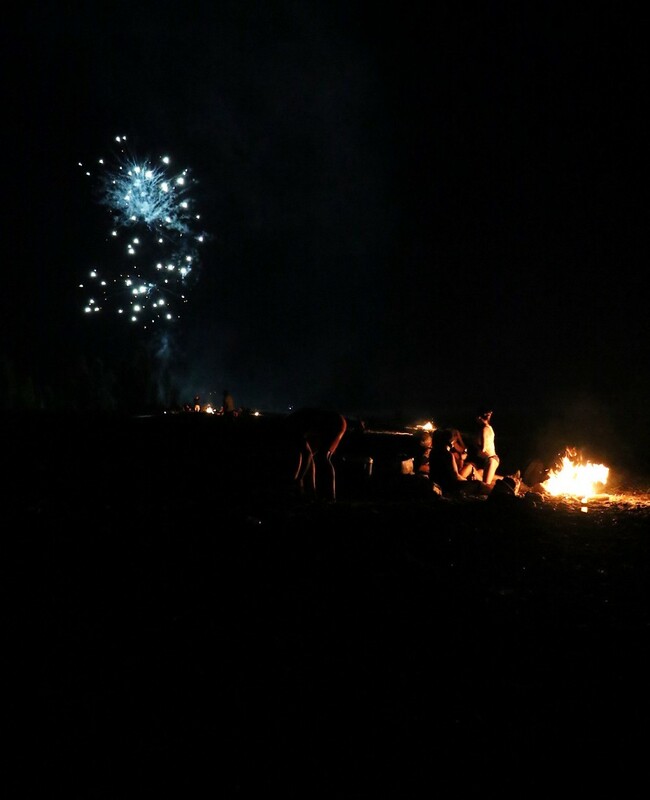 I had a good time here and will definitely return. 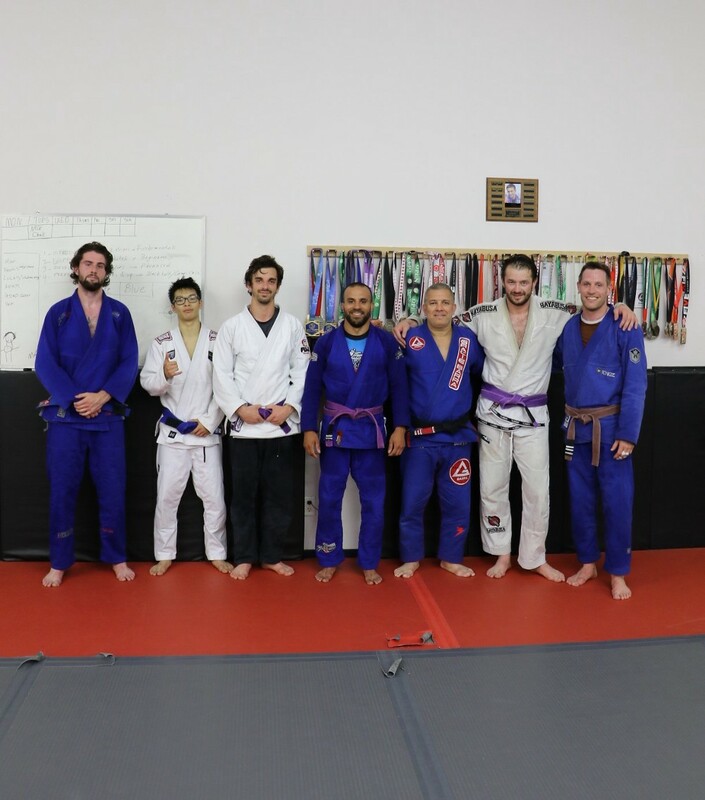 After a class at Guardhouse BJJ. Owner Mike Diggins front and center. After spending a few days in Kitchener we returned South back to London. There’s actually a heat wave all over southern Ontario right now with temperatures in the mid 30’s, feeling like the mid 40’s with humidity. 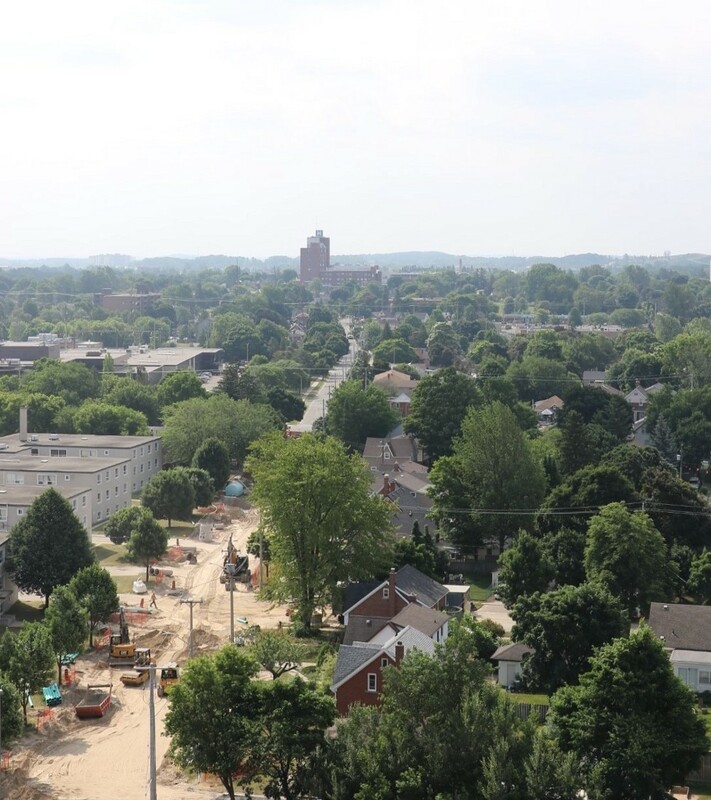 This means we will remain fairly stationary for the time being in a single location so that we can plug in to grid power and use our in-house air conditioner throughout the day. Our solar system powers basically everything we need without having to worry about running low, except for the air conditioner. This requires more power than the solar could keep up with, so using some power from the grid is necessary on these super hot days. This last weekend was Canada Day, a federal statutory holiday, Canada Day is the anniversary of the forming of the country’s independence through the uniting of the three separate colonies of the Province of Canada, Nova Scotia and New Brunswick into a single Dominion within the British Empire called Canada. 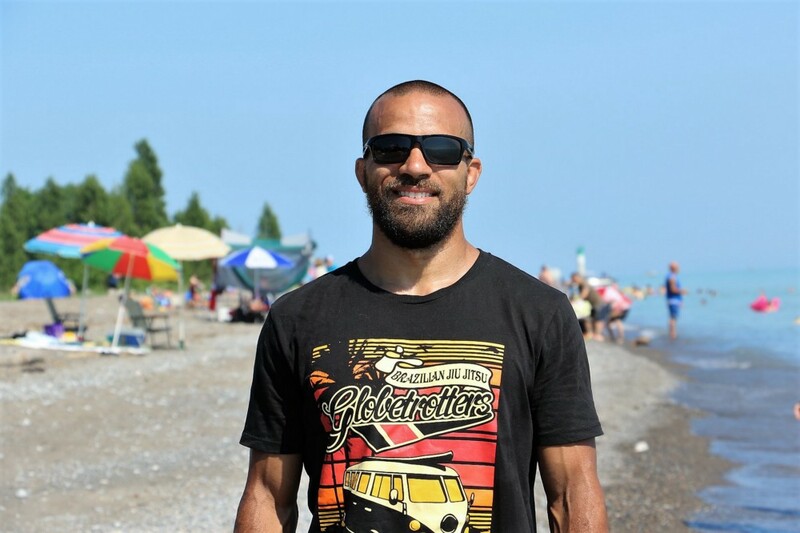 We knew that with the combination of the heat wave going on and the long weekend coming, meant that all of the beaches around were going to be insanely busy. 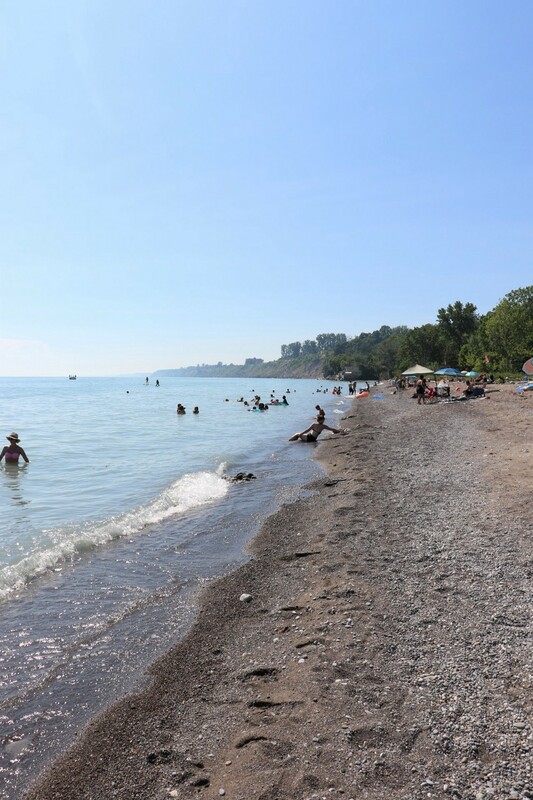 We decided to join in but instead, head to one of the less popular beaches, located within Port Bruce Provincial Park. This is a very small beach that still ended up being very busy. I received some good news at this time. When I first crossed over into the US nine months ago, I sustained an injury during training. It seemed to be an innocent, accidental knee to the groin. No big deal. I thought nothing of it and continued training. It was a couple days later however, when I was still feeling some pain that I decided this probably isn’t normal and I should maybe get checked out by a doctor (thank you travelers insurance). Sure enough, both the US doctor and now my family doctor confirmed — bilateral inguinal hernia. So good news? Kind of. I’m in very little, to no pain and after some back and forth with the Doctor and a specialist clinic, I’m scheduled for surgery on August 7. I’ve been informed it is a very routine surgery and a quick recovery time, about 3 to 4 weeks until you’re back to full ability. I consider myself fairly lucky that I’ve been able to train at almost 100% until this point. I feel excited knowing I will be able to have surgery and recover before heading out on the road again come the fall. Sustaining such an injury only weeks into our first loop of North America was disappointing to say the least. Especially when considering that if I needed any kind of surgery, I was going to be spending a lot of money to have it done in the US. Luckily, I was able to train for the next few months without a problem so long as I was mindful of the injury. Now that we have a timeline of surgery and know that it will happen this year, we are planning our next route around the continent while considering the places we’d like to visit, tournaments I’d like to compete at, people we want to spend time with and gyms I’d like to train at. It is a very unique balance that we are still working on.